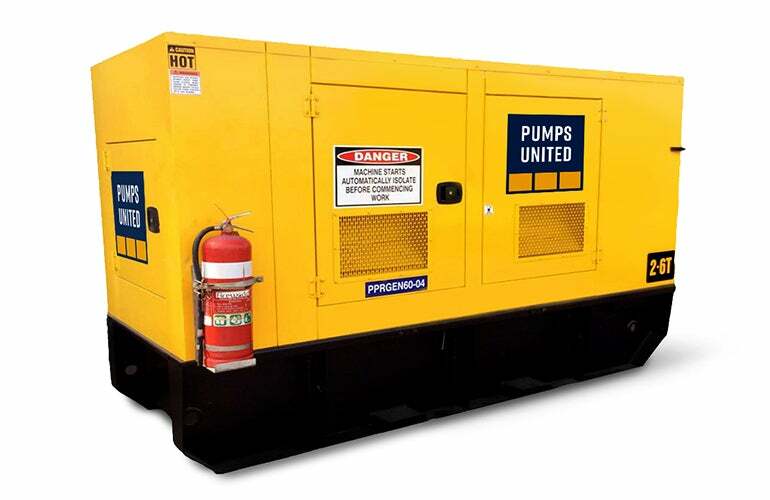 Pumps United has an extensive range of diesel generators available for hire, Australia Wide. Our generators are reliable and robust units maintained to the highest industry standard and suitable for all applications including the construction, civil engineering and mining. 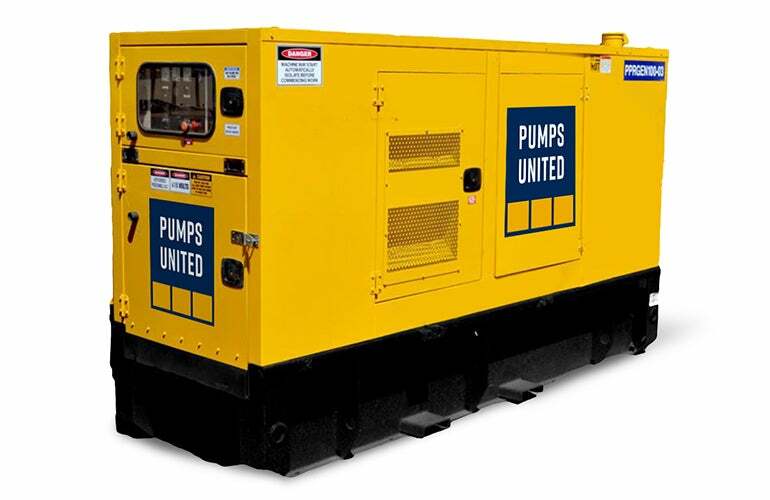 All Pumps United generators are three phase, super quiet ,sound attenuated units complete with lockable access doors and control panel. Additional accessories or modifications are also available on request. 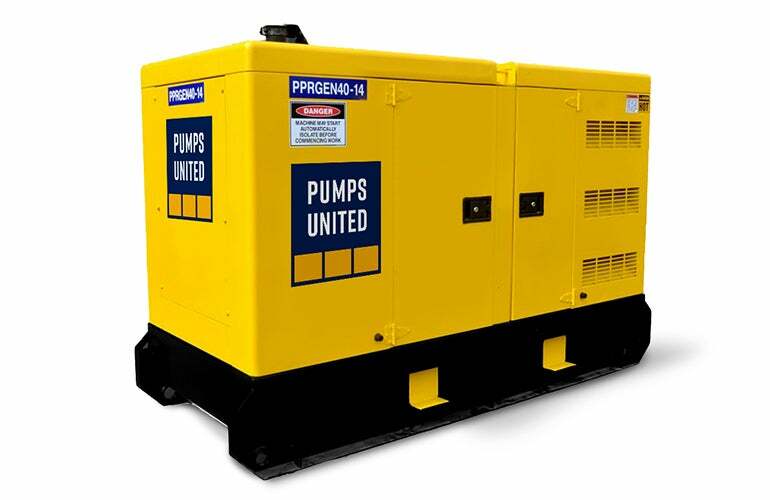 Our generators are skid mounted and designed to be easy and safe to manoeuvre with forklift pockets and central lifting and dragging lug points. For more information on our range of generators contact our team of experts today.